The France international has already declined a new contract with Paris Saint-Germain beyond the summer and this has recently witnessed him excluded from the club's first-team duties. Amidst this, Spurs have been regularly linked with the 23-year-old but according to The Star, they could miss out on his signature due to interest from other top-profile clubs. 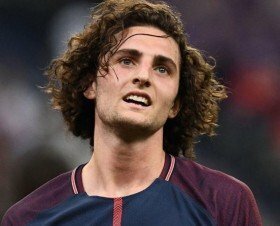 Rabiot has envisaged the desire to play for Barcelona over the years and it is suggested that the Blaugrana could compete with Liverpool for the Frenchman's signature during the summer. Spurs are currently eight points behind the top of the Premier League standings but the deficit could be reduced to five, should they win their game in hand against Burnley later in the month.